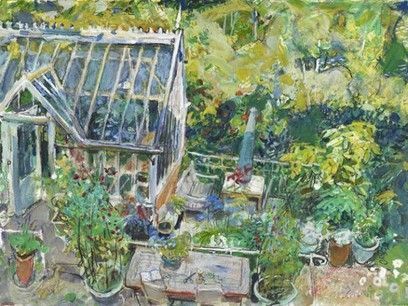 It must be because it is really truly spring now: I want to get out in the garden! And I also want a hothouse for when it is too cold still. 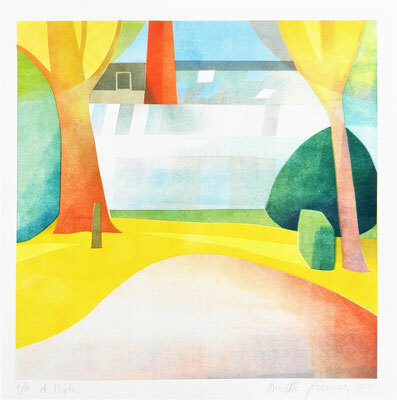 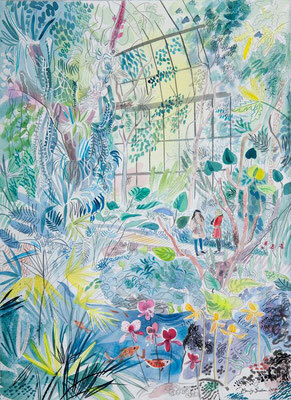 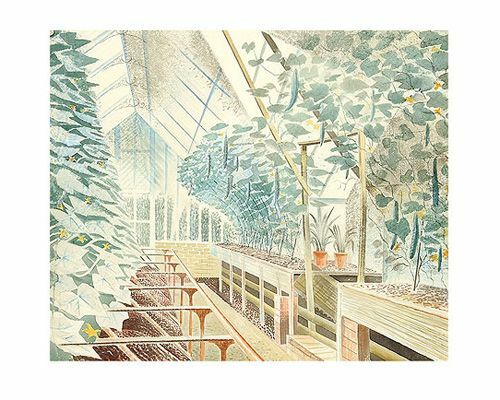 The print in the top right hand corner is one I did some years ago of the greenhouse at the old botanical garden in Utrecht. 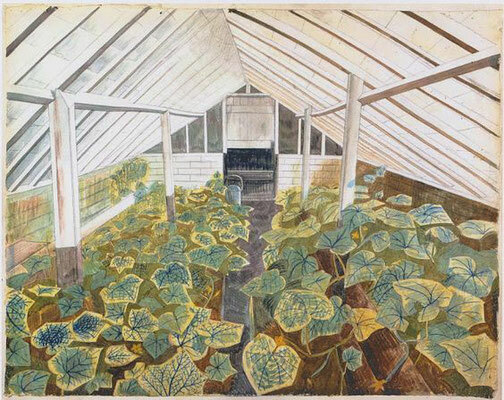 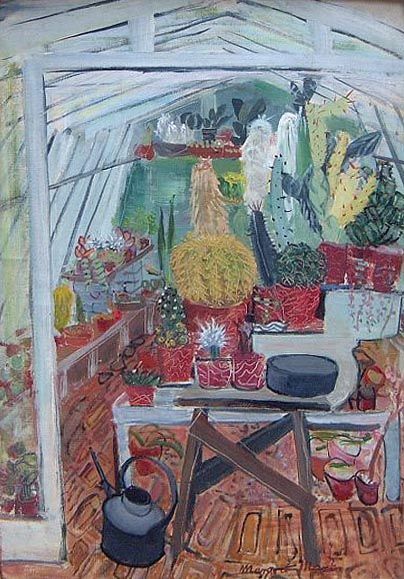 And then there's greenhouses by Ravilious and Bawden, amongst others.